The 1st thing we will do for New Baltimore PA carpet cleaning is “vacuum” your carpets before we deep clean your carpets. The purpose of vacuuming your carpets is to remove all dirt, soil, debris and small objects from the surface of the carpet. We will vacuum 100% of the carpets you want cleaned. We will also vacuum along the edges of the room. The 5th thing we will do is “deep clean” your carpets. Deep cleaning is the best way to clean your carpets. Truck mounted, hot water extraction equipment is the best method of deep cleaning your carpets. Truck mounted, hot water extraction equipment is recommended by carpet manufacturers to clean your carpets and also help remove spots and spills or at least make your spots and spills lighter in color. Truck mounted, hot water extraction equipment makes your carpets safer and healthier for babies, small children and pets to play on. 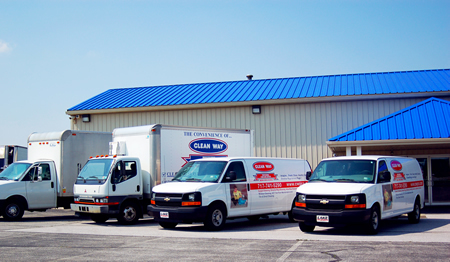 New Baltimore PA carpet cleaning by Clean Way is your best recommendation.